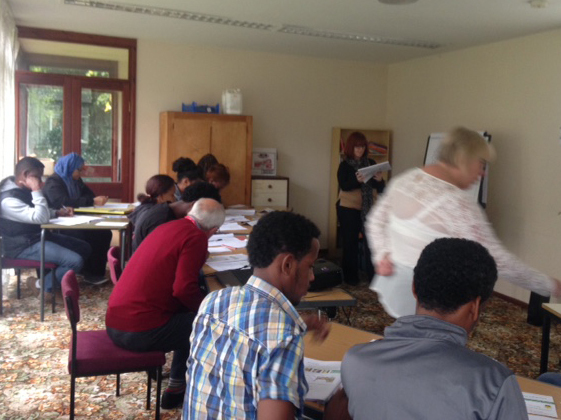 The ESOL Classes put on by Barnsley Unite Community have become so popular that we have had to turn people away for the last few weeks because we have ran out of space. We are currently looking to put on an extra class a week and so are looking for an extra teacher (who Unite will train for free) and volunteers to assist. Another exciting development is that we are planning a Unite Football Tournament to help with community cohesion and are working with the PFA to make this happen. Watch this space. And finally, we now have a translator who is working alongside Richard to assist people with welfare advice do come along visit the centre and support us in our work. A very productive couple of days in the Unite Community Support Centre this week, several people came in seeking help, covering Sanctions, Housing Benefit, Job Seekers Allowance, Pension Credit and general benefit advice. We carried out a further 6 Initial Assessment Tests for English for speakers of other languages (ESOL) bringing our total to 16. We look forward to starting the course in the next few weeks. 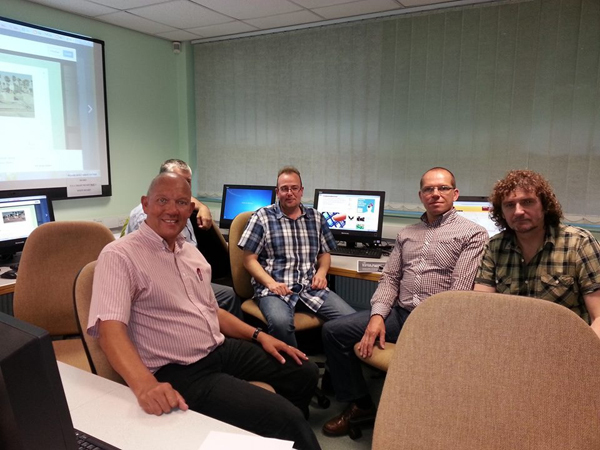 We have also 2 new learners on Unite the Union computer courses, which means all our computers are now in use. We are hosting a residential weekend called ‘A World to Win: learning from the past; making the future’ from Friday evening 29th May to Sunday lunch on the 31st. We’ll explore key moments in working class history – and make connections with the issues we face today. Can understanding the past help us create a better future? The experience, curiosity and contributions of Unite members will be highly valued as we look at the significant events of the past 200 years. The event is organised by the Independent Working Class Education Network (IWCE) and they ask for a £50 contribution per student towards costs. This covers all food and accommodation for the weekend, and full use of the College. More info here on our Facebook page. There is a one day New Media and Blogging course currently available to ULRs, Community Activists, Workplace Reps and Branch Officials planned for Wednesday 18th February from 9.30 until 16.00 at Castleford Community Learning Centre. This is an introduction to New Media and Blogging where we will look at various sites such as Facebook, Twitter, You Tube, WordPress and Blogger. Next year the Economic Justice Project (www.economicjusticeproject.org.uk) is putting on a 5 part workshop course next year building up participants’ skills and knowledge to ‘”Spark a Change” on the issues that they care about. This course will inspire with stories of successful struggles around the world over the last few decades and today, offer practical skills for taking action and cover some jargon-busting info to help people understand the news & politician-speak. It’ll also be a great chance to meet others who are interested in social justice in Yorkshire, making new friends and connections. This is a free course aimed at people in Yorkshire, and we want to attract a broad range of people interested in different social, economic and environmental issues. We aim to pay all travel and childcare expenses for the course, please get in touch with us about this for more details. There will be one day long session every 2 months for 10 months & we’ll be working closely with inspiring social justice artists, organisers and campaigners to run a really broad and participative set of sessions. There wont be much sitting in a classroom during your sessions on “Spark a Change”. People can register on this form: https://docs.google.com/forms/d/16Rm8kxHp58vIcOojeOOZipoST5BAW2HKR8nfHIn1VZA/formResponse as you can see the exact dates aren’t set yet, but we’re putting this out now for early applications so people get chance to think about it and give us a ring or an email with any questions. The Public Speaking course day one was held in the iconic NUM Hall in Barnsley. 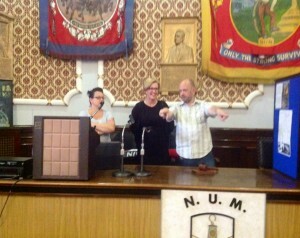 The NUM Hall is steeped in history and has been an arena for public speaking, particularly during the Miner’s strikes. The reps and activists were given the opportunity to wander around the hall to take in the history and atmosphere before the course began. A perfect place to hold the course! Most of the day was spent learning about the theory, methodology and construction of speeches. Towards the end we gave them the chance to stand on the platform to get a feel for what it would be like delivering a speech. The day has prepared them for the next session which will be delivering a speech! 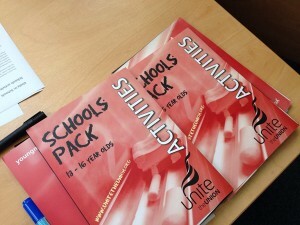 The Unite in Schools project got under way in the NEY&H Region today, with our first volunteers undergoing training. Another training day will take place on Friday September 26th. If anyone would like to get involved in this important initiative, or has good contacts with their local schools please contact Joe Rollin. This was an introduction to New Media and Blogging where we looked at various sites such as Facebook, Twitter, You Tube, WordPress and Blogger. We delved into the practical side of social media and how to use this as a tool for organising within workplaces or communities. We also looked at the wider implications of its use and awareness of social media policies. A big thank you to all the activists who attending the above courses! 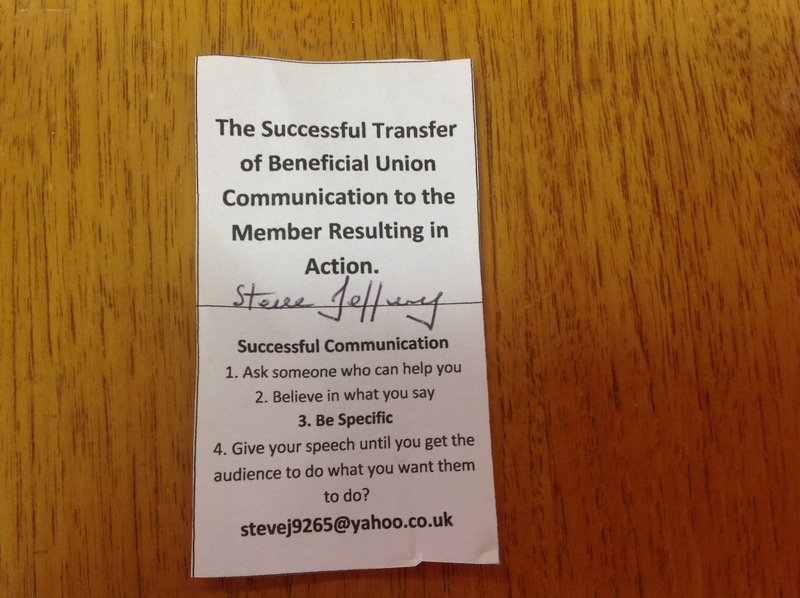 They were extremely popular and prove that we are all now become aware of how we can use social media as an organising tool for our campaigns. The welfare advice training was held at Unite the Union’s regional office in London. 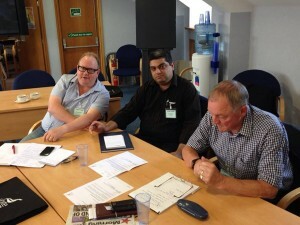 Volunteers from Unite community centre Barnsley, (Richard Vivian and M. Tariq), designed the training which lasted for two days. In the training we made sure that all the aspects of welfare rights and benefits were covered also with the emphases on what benefit advice is about, being a competent advisor and how the advice should be given. The core values, campaigning around benefits and protecting client’s rights and advisor client privilege (Data Protection) was also explained. 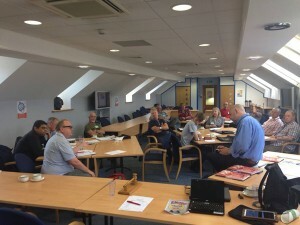 16 people attended the training and the venue and the arrangements for the training were fantastic and state of the art equipment was offered for the IT support. Pilgrim, the organiser of the course did a marvellous job over all. 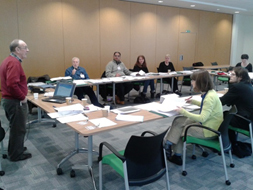 The first day of training involved the introductions, aims of the course and overview of the welfare Reform Act, legal framework, contributory/non-contributory and means tested benefits, Income Support, Job seeker Allowance, Housing Benefit and Council Tax Benefit. 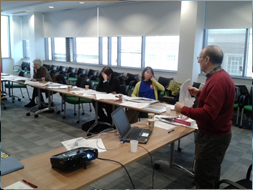 Second day of training commenced with emphases on how to give advice and what factors a good advisor should consider when giving advice, ESA, Pension Credit, Personal Independence Payment, Tax Credits and Universal Credit. Different tactics were discussed on how to retrieve the information from the client and act appropriately. Different examples were in place to calculate different benefits and debates among the students were encouraged to elaborate on benefits, effects on society, sharing of personal experience and knowledge. 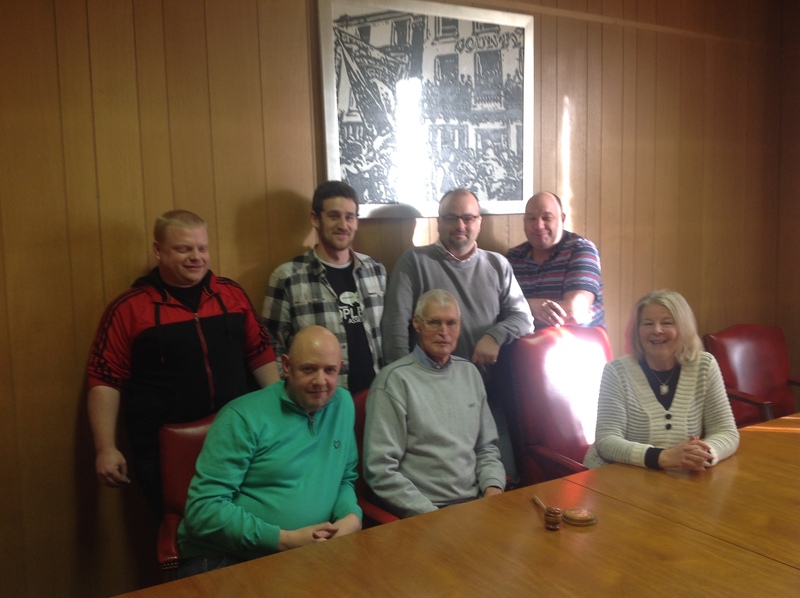 Barnsley Unite/NUM Community Centre recently staged a two-day Public Speaking Course (Level 2) which was attended by 6 Unite Community Activists, Branch Officers and Union Learning Reps. 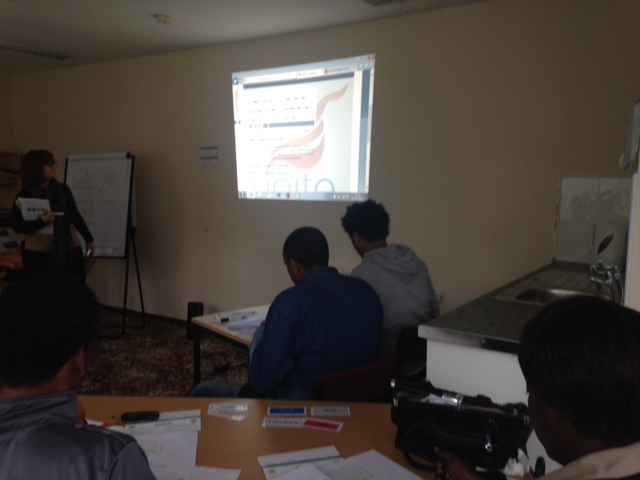 The course took place over 2 full days (18th and 25th November). On the first day, activists learned about how best to approach preparing a speech. They examined the importance of three elements of public speaking: logos (logical order), ethos (building trust) and pathos (generating emotion). Following this, activists participated in a mini-debating session. Before the second day of the course activists constructed their own 10-minute speeches. When they returned for day two these were delivered to the group in the iconic main hall. All speeches were filmed and analysed collectively. 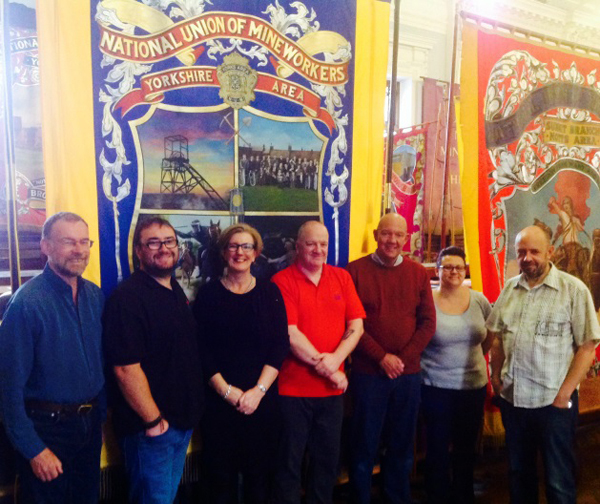 They covered a variety of subjects including Lifelong Learning, Unite Community, Orgreave Truth & Justice Campaign, increasing Trade Union Awareness, Effective Branch Communications and Zero Hours Contracts. The course provides a valuable experience for activists. 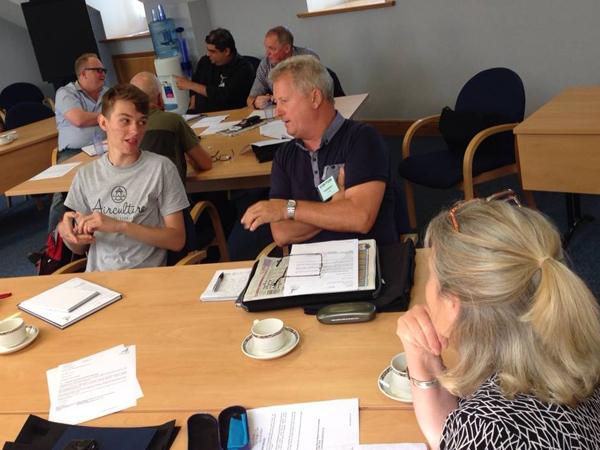 Knowledge and experience of public speaking gained from the course helps to build practical skills and confidence in people who have an important role in co-ordinating campaigns in the community and the workplace. “The analysis and collective critique of each speech is what assisted me mostly in developing my line of argument. The practice of actually delivering your speech in such an iconic venue gives you the confidence to do more. I can’t wait to do the media training next”. Dan Marcus Community Activist.